MONTREAL, QC--(Marketwired - Jun 18, 2015) - Autonomic Technologies® announces 200 patients have been implanted to date with the Pulsante™ SPG Microstimulator. The Pulsante SPG Microstimulator, a novel therapy for the treatment of cluster headaches, was introduced to the neuromodulation community during the International Neuromodulation Society (INS) World Congress in Montreal June 8-11. 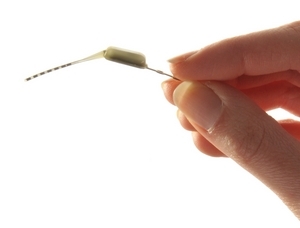 The miniaturized device is inserted through a patient's gum using a minimally invasive technique that leaves no visible scars. Pulsante, a breakthrough technology, sets new standards in neuromodulation and brings new hope to patients suffering from the debilitating effects of cluster headache. "The Pulsante SPG Microstimulator is the first and only neuromodulation therapy that provides acute benefit along with a noted reduction in headaches in some patients without any systemic side effects, positioning this minimally invasive device early in the treatment pathway," says Dr. Hans Ericson from the neurosurgical department of Uppsala University, presenting SPG (sphenopalatine ganglion) stimulation therapy during the INS Congress. "Backed by long-term excellent clinical data, a successful closure of Round D fund raising, and with Pulsante available now in six countries, Autonomic Technologies is accelerating commercialization and increasing therapy penetration rapidly across Europe," says Karl Schweitzer, Chief Commercial Officer of Autonomic Technologies. The Pulsante SPG Microstimulator System (also known as Autonomic Technologies, Inc. (ATI) Neurostimulation System) is under an IDE study in the US for the treatment of chronic cluster headache. Pulsante provides on-demand, direct, local stimulation to the SPG, a nerve bundle located behind the nose that is known to play a major role in severe headaches. As the energy is transmitted wirelessly through a hand-held remote controller, the Pulsante Microstimulator does not require a battery. This design reduces the need for multiple procedures to replace depleted batteries, improving the overall efficiency of the treatment and improving patient satisfaction. Autonomic Technologies, Inc. (ATI®) is a medical device company headquartered in the San Francisco Bay Area with offices in Germany and Switzerland, focused on the development and commercialization of innovative therapies for the treatment of autonomic disorders, particularly severe headache. The company's initial product, the Pulsante Microstimulator, is CE marked in Europe for the treatment of cluster headache. The device (also known as Autonomic Technologies, Inc. (ATI) Neurostimulation System) is under an IDE study in the US for the treatment of chronic cluster headache. For more information, please visit: www.pulsante.eu or www.ati-spg.com.